Love your punch needle! If we lived closer, you could be my teacher. ;-) Have a happy weekend! I'm no help on your rooms. I'd just do what gives you the most pleasure, smile! Wonderful bunny and finish. Stay warm. Must say I do not miss those winters. love your bunny and your quilt is lovely. I love your bunny pocket!! It's just gorgeous!! Your bunny pocket is adorable - I love it!! Your plans for changing the rooms around makes good sense although a lot of work. Too bad the weather won't let you get out and about this weekend. Both the NP and quilt are wonderful. Good luck with your room decision ~ I'd go where it would be more convenient and cozy. Love your bunny pouch. I think it works better as you have used the design as to use it on a wood cutting board. I like the windows for daylight in your current sewing room. Would you have good lighting in the other room if you switched? I Love your bunny pocket finish! 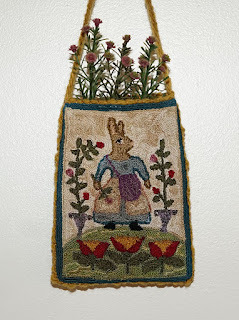 Some day I would love to get back to some punch needle! Love your quilt too! It's fun to change things around isn't it? One change leads to another it seems! Your rooms look so nice with all the windows and natural light! And so organized!! I hope you show us pics of what you decide to do! I need some inspiration to get going on some changes here! Even though Spring is weeks away here I have the urge to get on with some home projects! We've had snow falling for more than 24 hours, I was hoping to go over to the west side of Vancouver today about a forty five minute drive but I think a walk outside may be my only outdoor adventure today! Enjoy your cpday in a creative way. 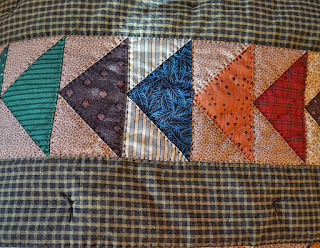 Love your needle punch and your quilt is gorgeous! I really love that bunny pocket. As to rooms, your plan sounds practical. It is good to be able to think it all through before making changes you might not like in the end. That bunny is too cute, great idea to make a pocket!!! 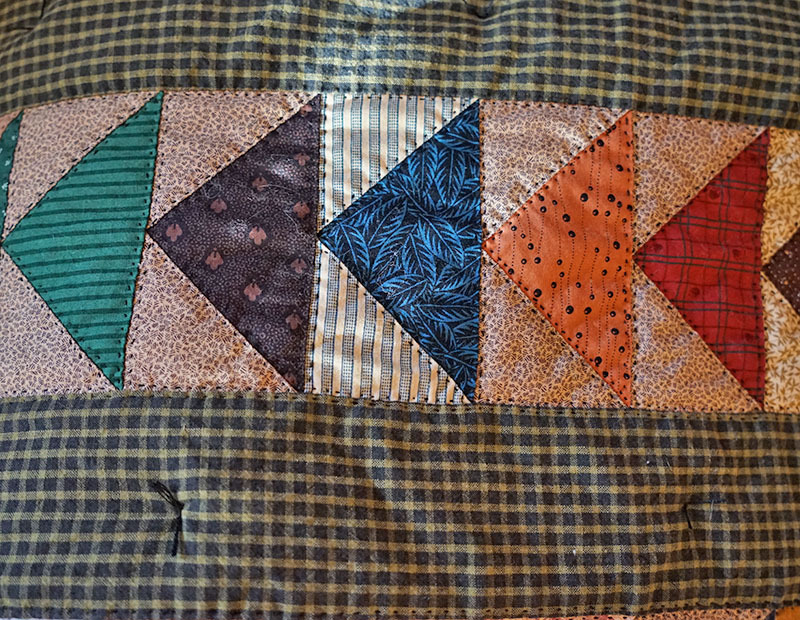 Love the colors in your quilt, too. As far as rooms go, do what makes most sense for how you use them - nothing will be set in stone, you can always change them later!